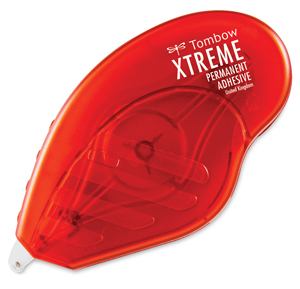 More than just a paper adhesive, Tombow's Xtreme Adhesive Runner is five times stronger than most other adhesive runners, making it perfect for mixed media projects with wood, fabric, glass, plastic, and rubber. Tombow Xtreme Adhesive is archival and UV-resistant, so it won't discolor or deteriorate when exposed to strong natural light. It bonds instantly and dries fully within 24 hours.